Elaine Hancock (Olney, United States) on 6 September 2015 in Transportation. 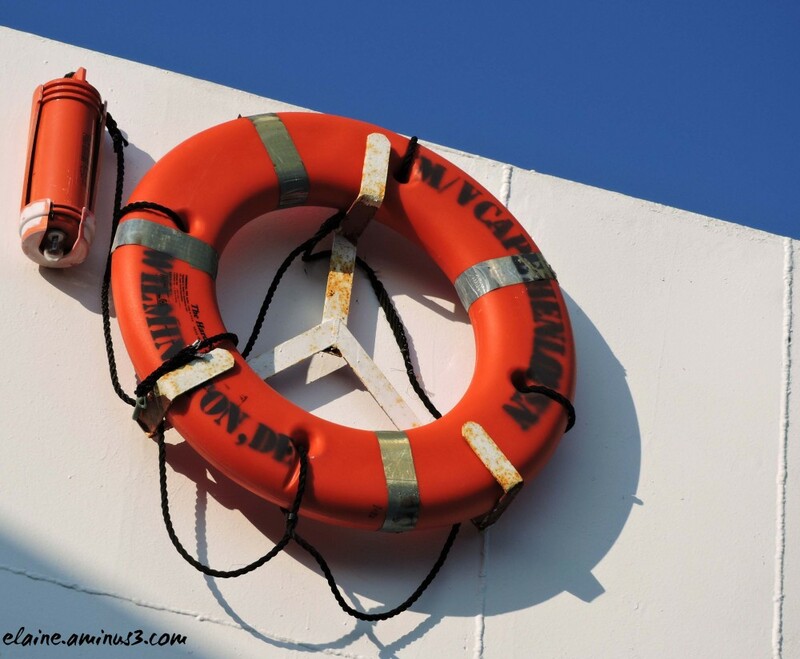 Life preserver on the ferry. Jolies couleurs ! Il faut toujours vérifier les éléments de sauvetage avant d'embarquer en espérant ne pas en avoir besoin. Nice detail. Well seen and well done ! Nice colours. Comforting to know they are there. Heaven forbid... but better safe than sorry! A fine composition Elaine, very sharp and colorful, I like! Good to have with hope that it will never been needed. A fine shot. @Denny Jump Photo: How are you doing? I hope that you are feeling better and on the mend. such beautiful frame, colors, lights, details & shadows! I like the shadows in this very fine shot !! I hope it works !! In comedy films these things usually sink !! @John Jungklaus: Thank goodness we didn't need it! I like the point of view and the bold red. I like the contrasting bold colors, let's just hope you don't need to use it! A beautiful composition with a fabulous color combination ... Nice shot !!! Excellent observation and close-up. Hopefully it will only ever be decoration!